Cube beads have been a favorite of mine for years. 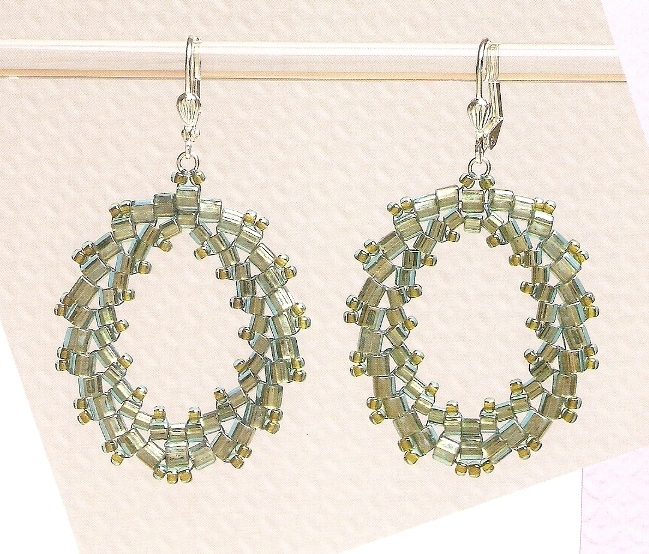 They are a fun alternative to regular seed beads. The angular shape definitely gives a geometric look to designs resulting in a contemporary look. 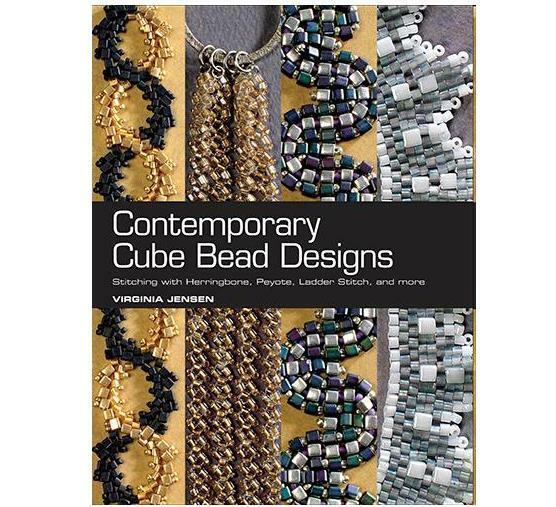 Colorado based Virginia Jensen is a bead artisan who must love cube beads because the book I just received from Kalmbach Publishing is her second featuring these beads! 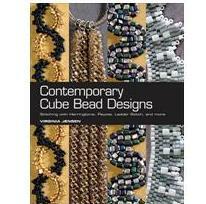 It is called Contemporary Cube Bead Designs. Click here to see a preview of the book. There are more than 25 projects in the book featuring different types of stitches such as herringbone, peyote and ladder stitch. It is obvious even without reading the author bio that Virginia is not only a designer but a teacher. None of the projects are particularly difficult but they all succeed in making cube beads the star of bead work. There are a number of bracelets and simple necklaces which are not time consuming to do. That's another benefit of using cube beads instead of smaller seed beads. Virgina also came up with some original designs too like the Aztec Ladder bracelet below. 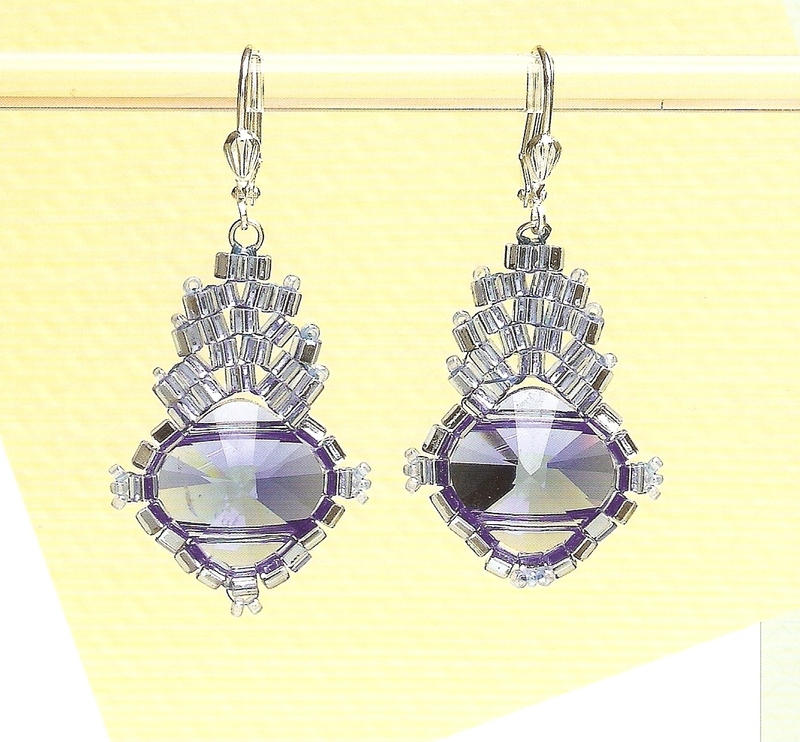 My favorite projects were the earring projects. The clever off- center placement of the cube beads produced some stunning designs. The repertoire was further expanded when Virginia incorporated larger beads in the designs such as the earrings below. However, the main reason why I think this book is fabulous is the way the author encourages beaders to learn the basic design idea and develop into other unique designs. Take the Paisley earrings for example. It makes use of the curved herringbone stitch. It does make lovely earrings for sure. 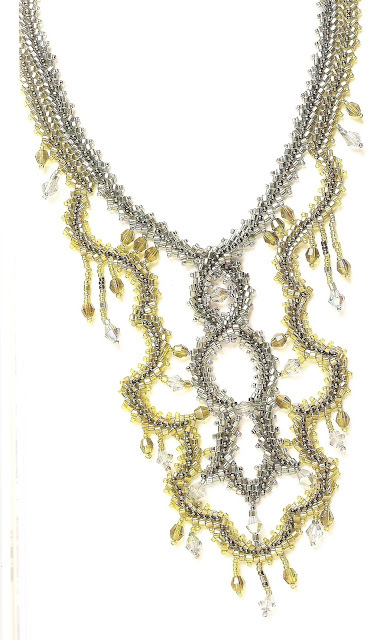 But the motif itself could be repeated to form a striking necklace. Virginia also included a number of stunning designs of her in the book. The example for how the curved herringbone stitch can be exploited is illustrated in her Blue/Green Baroque necklace below. She said, " Here, I've worked the curved herringbone into an open lacy look. I started with 6-bead-wide rows of herringbone at the back and worked forward, splitting the upper section off and crossing it at the center. I made the blue center section, and then I went back and picked up the lower herringbone strand and developed the green outer section, working around the blue center section and attaching dangles and crystals as I went along.The crystals secure and strengthen the curves against the overall weight of the piece. The curved sections work the arcs back and forth to result in a graceful flourish." Utterly inspiring and will definitely get beaders experimenting with cube beads. Highly recommended for all levels. I love cube beads. They're great for peyote stitch, and I also love them for bead embroidery -- they look like little tiles. You are so right - the cube beads do resemble little tiles! I also like tila beads for the same reason. You will have fun, I am sure!